I was wondering where mecha genre in Japan originated. It doesn't seem the same as something like the idea of a doll having a soul, which is from Japanese folk beliefs, but it could be. Is there some historical basis for giant fighting robots (or similar things) in Japan? If not, where did they originate from, and what was the first series that showed them? There is no deep origin of the super robot trope in Japanese folklore, at least as it pertains to anime and manga. While some Japanese legends and history (such as the samurai) may have influence the design and characteristics of the mechas, there is little direct inspirational influence. 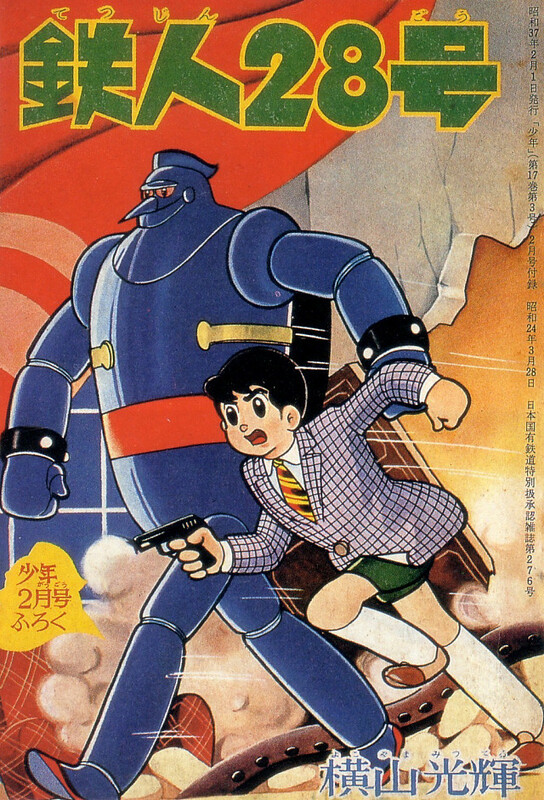 The first anime adaptation of the Tetsujin 28-go manga, in 1963, is widely credited as the origin of the mecha genre with an early design of a "super robot". This series, in conjunction with the manga Giant Robo, were the first to feature these designs. Mitsuteru Yokoyama*, as the creator of both these manga, is considered the father of the genre. Yokoyama was largely influenced by the wartime of his days; the bombing of Kobe is one such case. He was also influenced by the monster concept from Frankenstein. Astro Boy, a 1952 manga series, has also had great influence over the design of the robots seen in the mecha genre. A bit more history: Notable mecha series that followed Yokoyama's creations were Mazinger (one of the first to feature piloting) and the Gundam series. In the 90s, Neon Genesis Evangelion moved forward from the clunky, overly mechanized (and often blocky) mechas from the prior series, and introduced sleeker, faster designs. Later series, such as Gurren Lagann and RahXephon mimicked this design, while few shows like GaoGaiGar did not. * - Yokoyama also made significant other contributions to Japanese comic culture; these can be found in the linked WIkipedia article. These huge rampaging monsters were initially countered by puny humans, then by powerful pint-sized humans, powerful pint-sized robots/androids and then by huge robotic superheroes controlled from the outside and then from the inside. Tezuka's 1952 manga, Astro Boy, featured one such pint-sized robot superhero who was himself based on the character of Michi in his 1949 manga, Metropolis (in turn based on the 1927 Fritz Lang masterpiece). Michi is an artificially "synthesised" boy who, later in the story, goes around toppling skyscrapers. 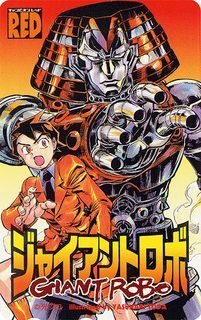 The idea of a robot controlled by a young hero was first used in 1956 with Iron Man 28 or Tetsujin 28-go (dubbed and released in the US as Gigantor), by manga artist Mitsuteru Yokoyama, which featured a giant robot piloted by remote-control by a young boy named Shotaro Kaneda, who used it to fight against evil. However, the first anime to use the phrase Super Robot and the one that set the standards for the genre was Mazinger Z, created by Go Nagai and making its debut in manga publications and TV in 1972. The main difference between Mazinger Z and previous robots was that the hero, Koji Kabuto, would pilot the robot from the inside in the same manner as one would drive a car. This anime show was hugely popular and spanned numerous sequels and imitations during the 1970s, and revival shows later during the 80s and 90s. TV Tropes notes that Gigantor might be the "Ur example" of "The Kid with the Remote Control" and Mazinger Z "THE granddaddy of the Super Robot Genre".